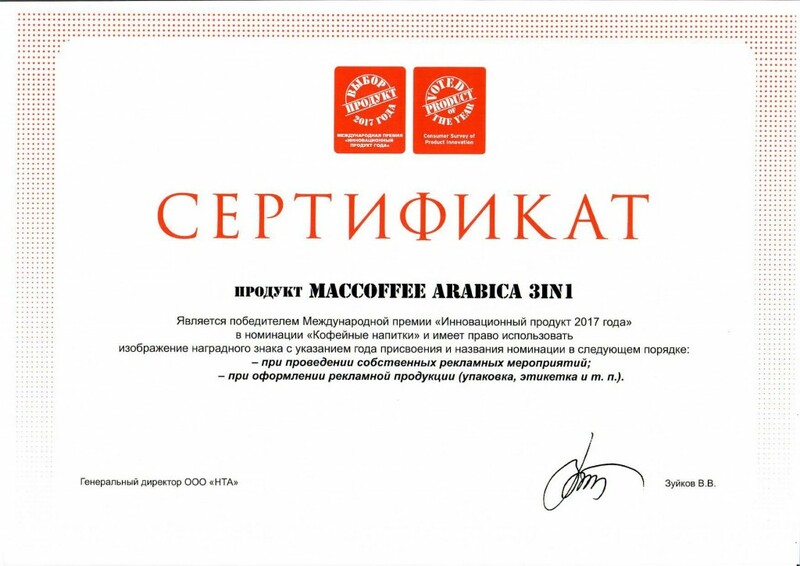 The globally acclaimed Innovative Product of the Year contest has been arranged in Russia for the 4th time, where winners are selected by the consumers. 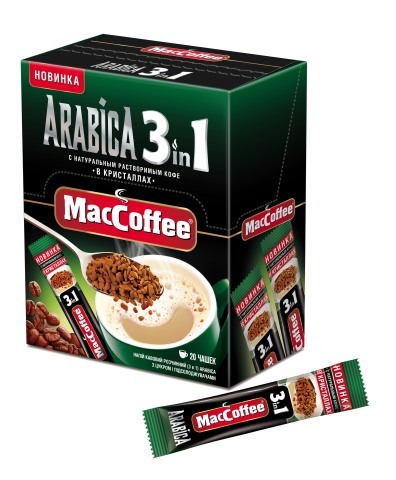 This year MacCoffee Arabica 3in1 has been voted the best in the Coffee Beverages nomination. The Innovative Product of the Year international awards have been around for 30 years now, embracing over 40 countries around the world. In Russia, the participants include top calibre transnational and federal companies manufacturing fast moving consumer goods (food, perfume, personal care and other products). Whenever the Innovative Product of the Year title is awarded, it means that over 3,000 families around the country have voted in favour of the particular product. This is a true sign of confidence which makes the selection of new goods in the stores easier for the consumers and helps save their time and money. We are proud to have won this award as it means the highest acknowledgement of our products from our consumers. We shall strive to scale newer heights and create new products focused on quality and innovation.